The entire ride has been repainted banana cream, a color similar to what was selected the last time it was painted. Rounding out the enhancements are ride profile lights. “The new light package consists of LED tracer lights. They virtually cover the entire ride with thousands of individual clear bulbs. The bright, white lights that outline the classic wooden roller coaster are sure to bring back a bit of nostalgia to Dorney Park,” said Fehnel. Aside from the new rolling stock, most of the rest of Thunderhawk enhancements were done in-house. The new ride vehicles are designed with lead cars with open front panels. This is an adaptation of ride train designs during the wooden roller coaster’s first Golden Age in the early 20th century. Tom Rebbie, president of PTCI, Hatfield, Pa., was up for the job. 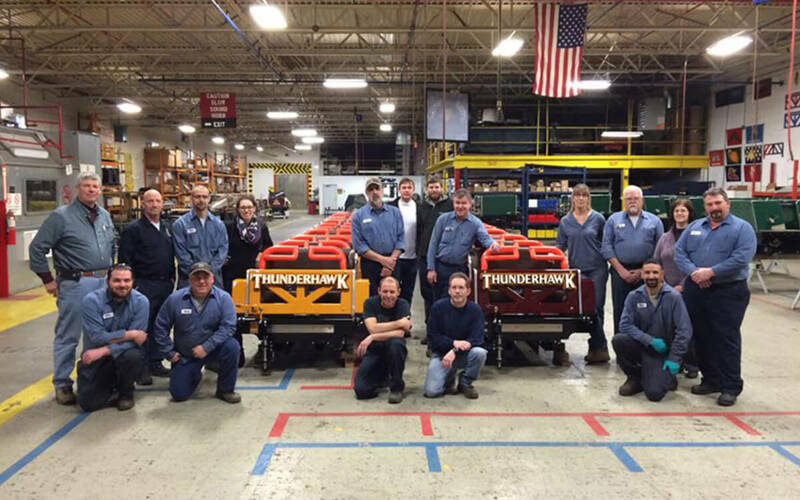 Rebbie went on to mention that his crew enjoyed hands-on experience with their ride vehicles on the Thunderhawk track, a mere 28 miles north of the PTCI manufacturing facility. “Guys who normally do not get out of the shop got first-hand experience with the park, on-sight,” said Rebbie. 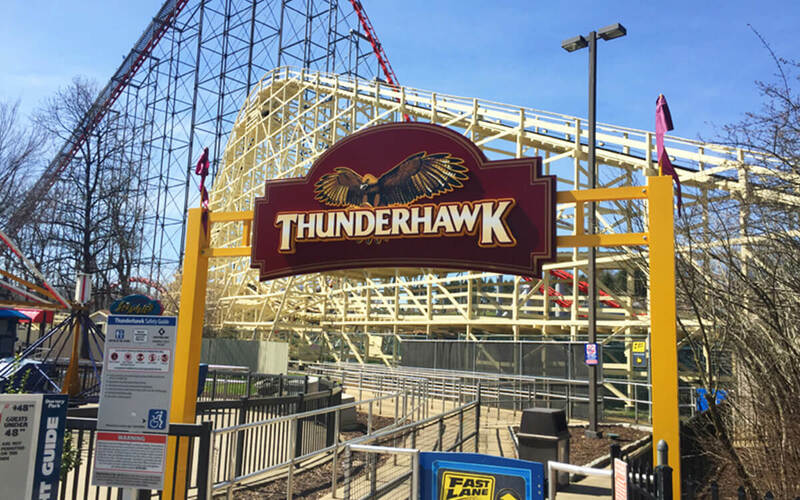 While park staff was conducting historical research for the markers, they found that Thunderhawk was originally called Joy Ride when it first opened. Most people remember The Coaster designation that was used through the 1988 season. 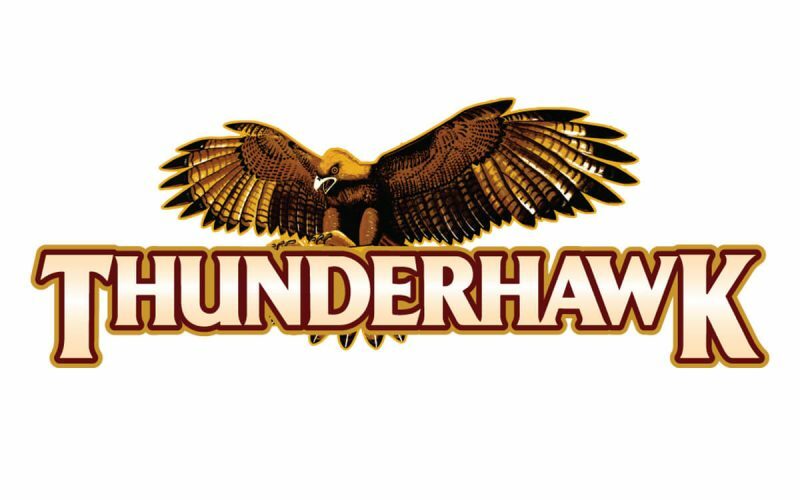 “Thunderhawk remains a classic, old-fashioned American wooden roller coaster with thrilling out-of-seat airtime pops. It is the eighth oldest roller coaster in the United States, the tenth oldest roller coaster in the world and it remains a favorite among Dorney Park guests,” said Fehnel. This article first appeared in the June 2016, issue of Amusement Today, and is reprinted here courtesy of Amusement Today. For subscription information, visit AmusementToday.com.